Las Vegas police responded about 10:30 p.m. to reports of a shooting on the 3900 block of White Cedar Drive, near Alexander and Pecos roads, a Metropolitan Police Department spokesman said. 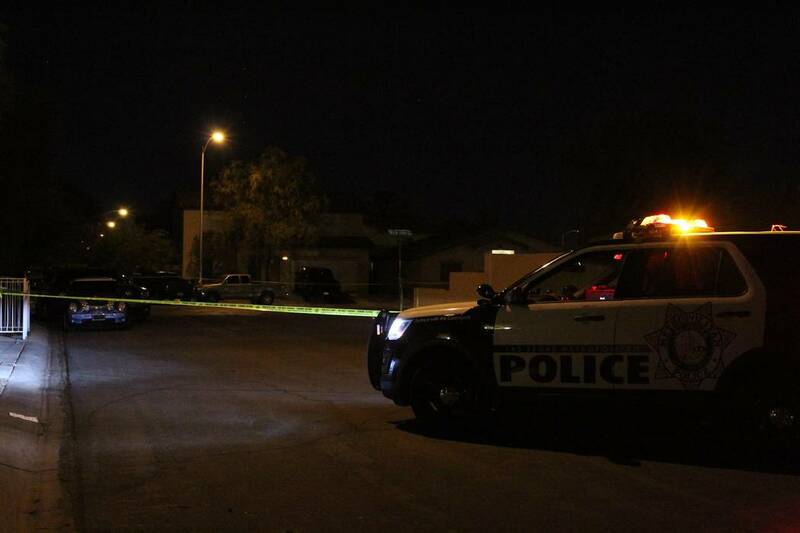 Homicide detectives are investigating a northeast valley shooting that left a man seriously injured Thursday night, Las Vegas police said. About 10:20 p.m., a bystander called 911 to report that someone in a vehicle was shooting at another car on the 3900 block of White Cedar Drive, near Alexander and Pecos roads, Metropolitan Police Department spokeswoman Laura Meltzer said. The victim was found inside a vehicle suffering from at least one gunshot wound when officers arrived. He was taken to University Medical Center in critical condition and as of 1 a.m. Friday was undergoing treatment. An update on his condition was not immediately available Friday morning, Meltzer said. Homicide detectives were called to the scene due to the severity of his injuries. A suspect was not in custody Friday. Meltzer said the 911 caller was not able to provide a description of the suspect’s vehicle. Contact Max Michor at mmichor@reviewjournal.com or 702-383-0365. Follow @MaxMichor on Twitter. Review-Journal staff writer Rio Lacanlale contributed to this report.